You can also click ‘Update Portfolio’ in the Start menu, then select a portfolio to modify. 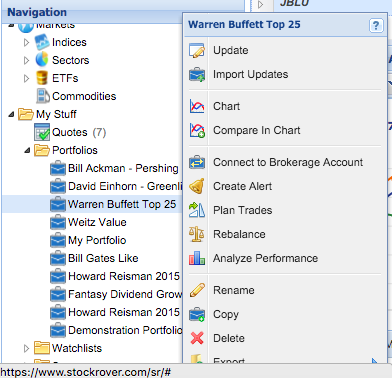 Either of these steps will bring up the Portfolio Manager, which will contain the portfolio data as of the current date (though you can switch the date with the date box). 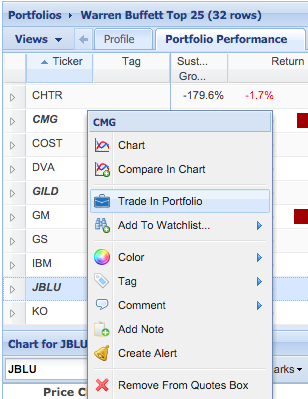 In Step 1 you can change the name or notes of the portfolio, (or switch to a different portfolio by selecting from the drop-down menu.) 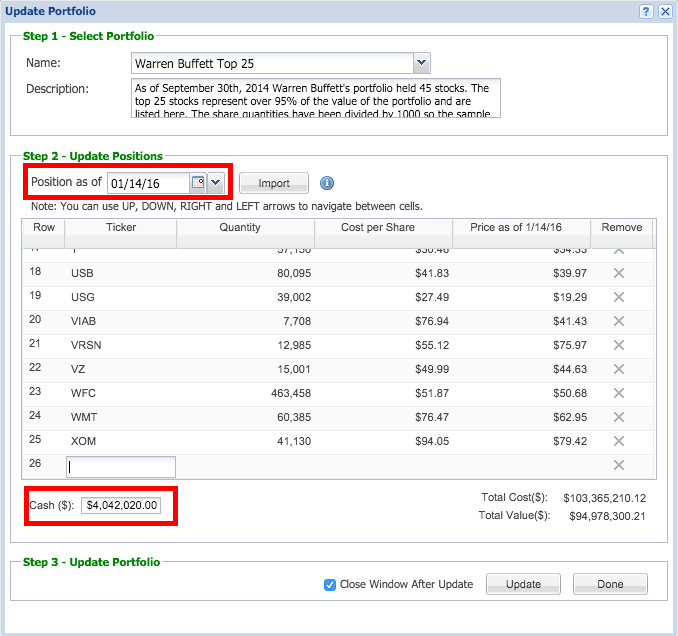 In Step 2, update the position date with the pull-down menu that says ‘Position as of’, called out below. 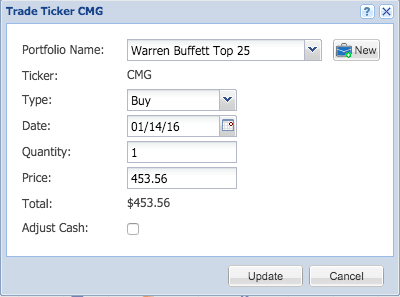 You can also edit the Cash Position, called out below in the bottom left of the screen. Click ‘Update’ when you are done. The window will close unless you’ve unchecked the ‘Close Window After Update’ box, which allows you modify positions on several dates in the same session.